after making more than 30 pies so far in this challenge, i decided to try something that i could also serve in the cafe. for the last 7 years, i have made many pies and every now and then, i need something new for the showcase. but what? what flavor could i use? would it be fruit or would it be custard? i decided to look around me and see what the common ingredients were and go from there. well, that’s when i saw the big bag of grits and it was enough to make me go, hmmm. a quick google search revealed to me that paula deen had beat me to the punch! so i tried out her recipe but i had to make a change-i didn’t have any quick cooking grits at home. on the left are the old fashioned yellow corn grits that are lurking in the cupboard in my kitchen and on the right are some quick cooking white grits that are now keeping those yellow grits company. 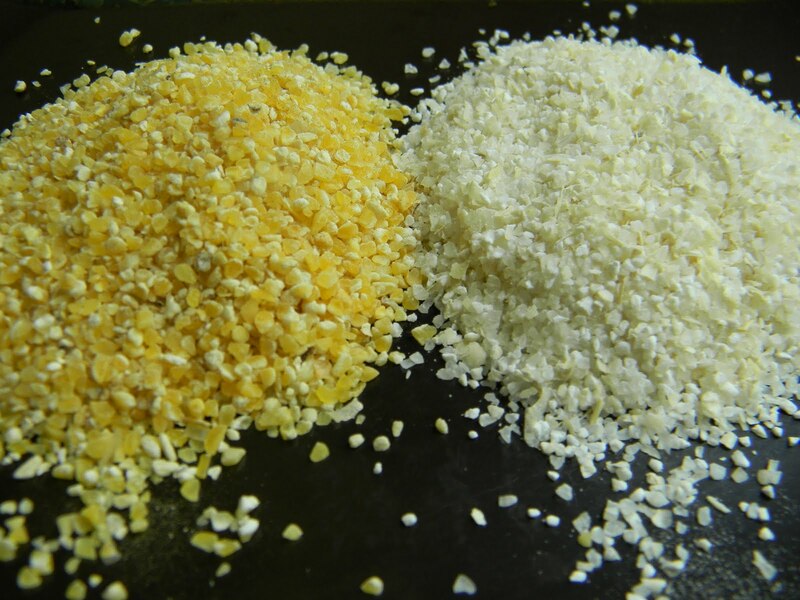 the main differences arethe size; the yellow grits are more coarse which means longer cooking times and of course the white grits have been parcooked hence the name quick cooking grits. 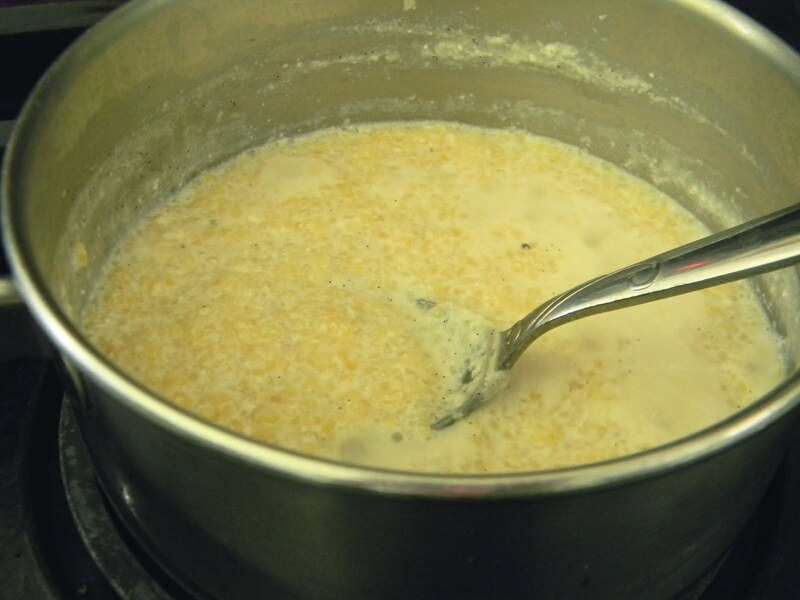 i decided to cook them in milk, which according to my grits research is a traditional italian method for cooking them. the first pie was not up to my expectations and this is the second pie. i changed several ingredients in the recipe, omitted the flour and my pie came out nice and creamy and if you didn’t know it was grits, you might think it was coconut (but not flavorwise). 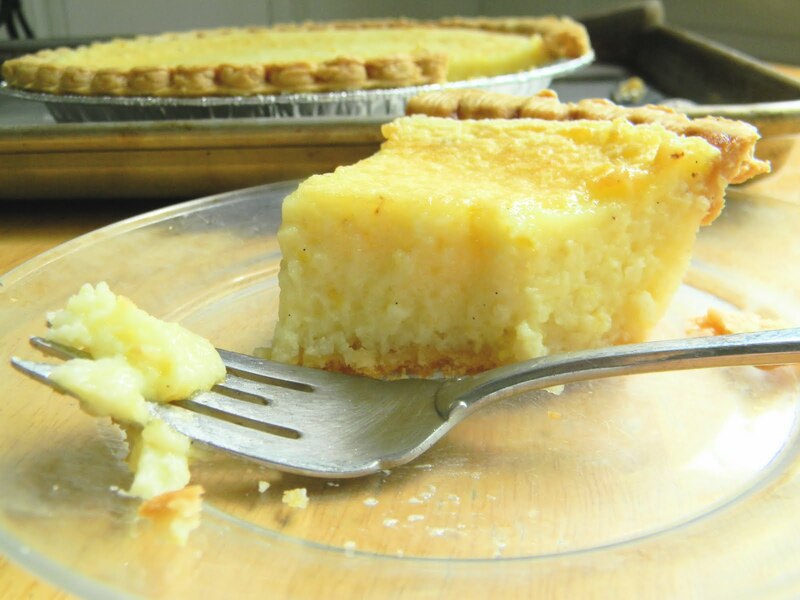 the biggest changes i made were to increase the amount of grits in the pie and to cook them in milk. 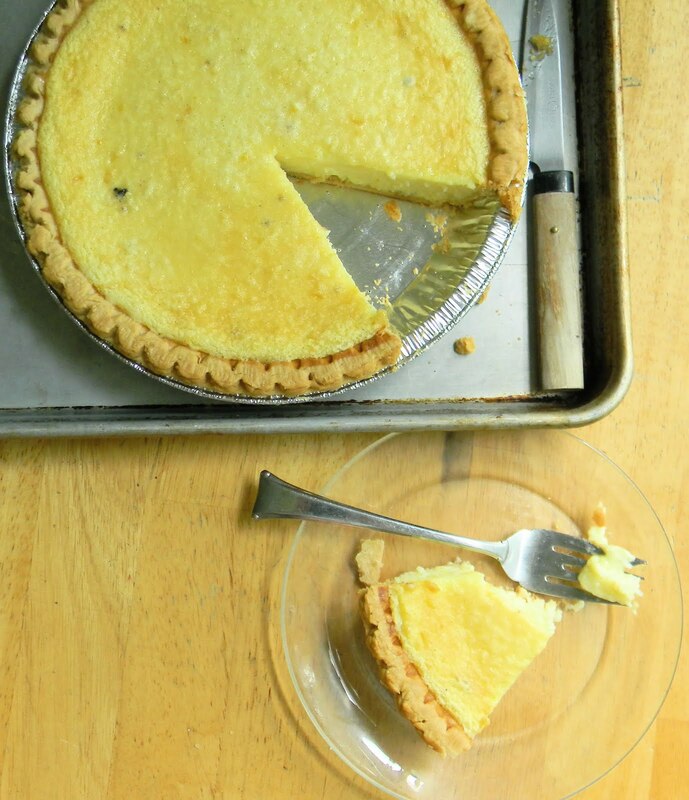 for the vanilla, i used a portion of a bean and added a pinch of fresh lemon zest. 1 partially baked (9″) pie crust (i cheated and bought one) for instructions on partially baking a pie shell, follow the directions from pie #29 but do not bake it completely since it will be going back into the oven. 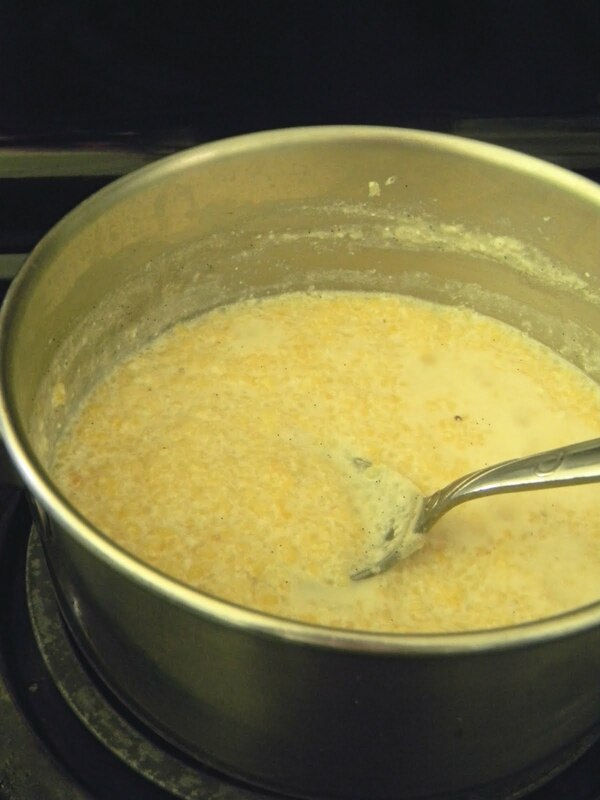 preheat the oven to 325. place the grits into a pot with the milk and vanilla bean and over medium low heat, slowly boil the grits until they are soft and the mixture looks a bit like a porridge. pour the grits into a heat proof bowl and whisk in the butter and sugar. 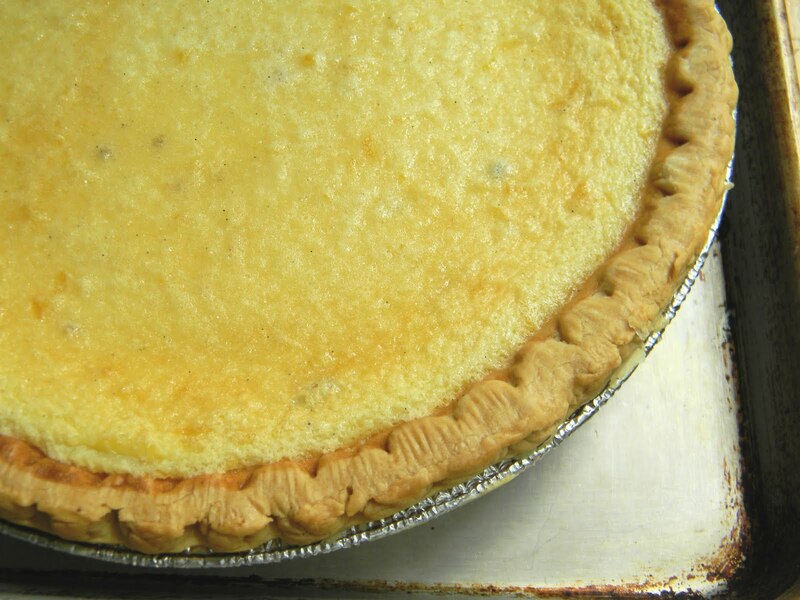 whisk in the eggs, half and half and lemon zest and pour it into the partially baked pie shell. place the pie on a sturdy baking sheet to make it easier to handle and bake until set, about 50 minutes. 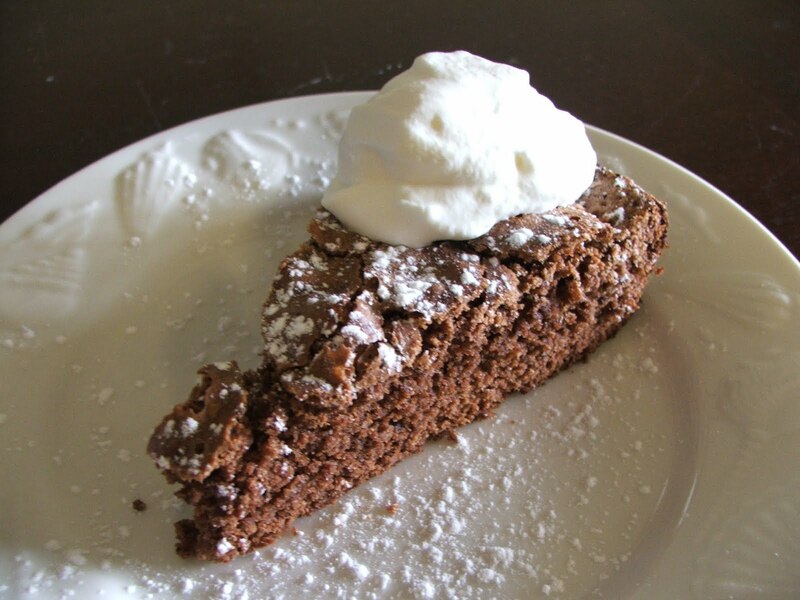 can be served warm with whipped cream or cold-either way is extra tasty! I do like grits (we always called it corn meal mush)! So this pie is a must try! Thanks for the recipe.